Minimize the time you listen as much as possible! 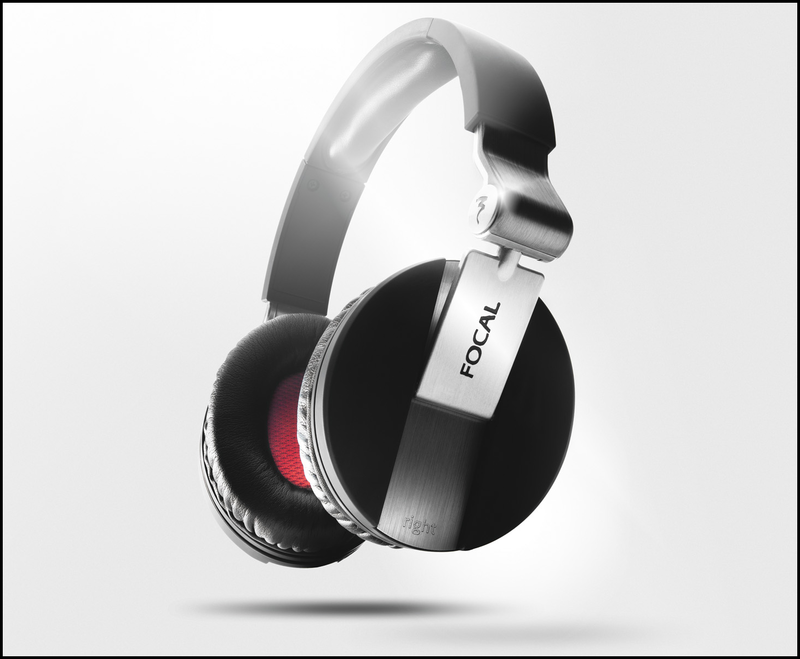 Even low volumes can damage your hearing when you are listening for many hours. These two lines remain quotes from the iQube user manual now in its third incarnation. Is this a serious danger or something else altogether? No doubt this warning is well meant and imbued with legal precautions but for a headphone amplifier it still makes for a strange read. We made a mental note of the warning and soldiered on bravely. 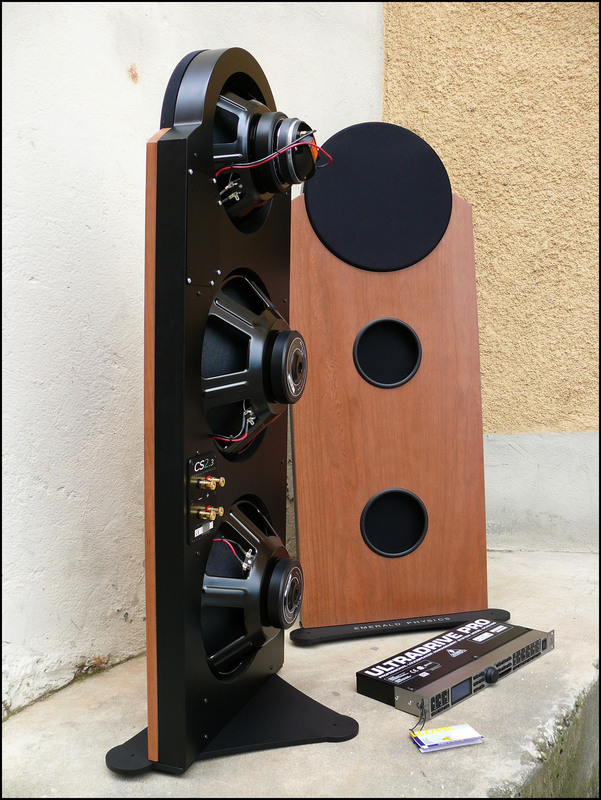 Just like the previous version we reviewed here, the V3 measures a mere 12 x 7 x 2.3cm and weighs in at just a few grams more - now 220 grams per our scale. 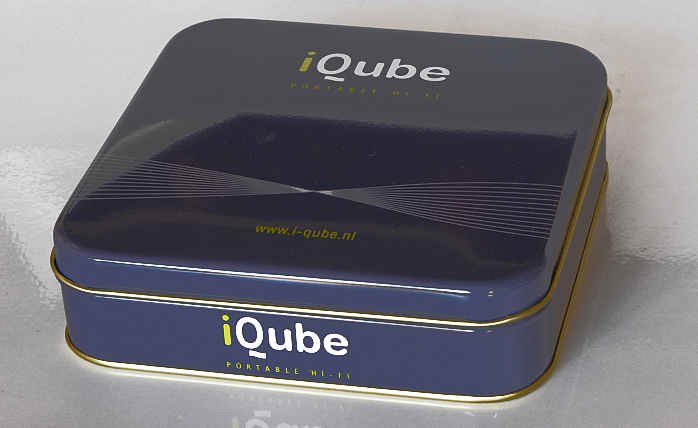 Size and weight make the iQube a very portable device and a good match not just for an iPod but also iPhone. We neither have nor want a smart phone so the only portable iDevice we used for this review was a pair of iPods. 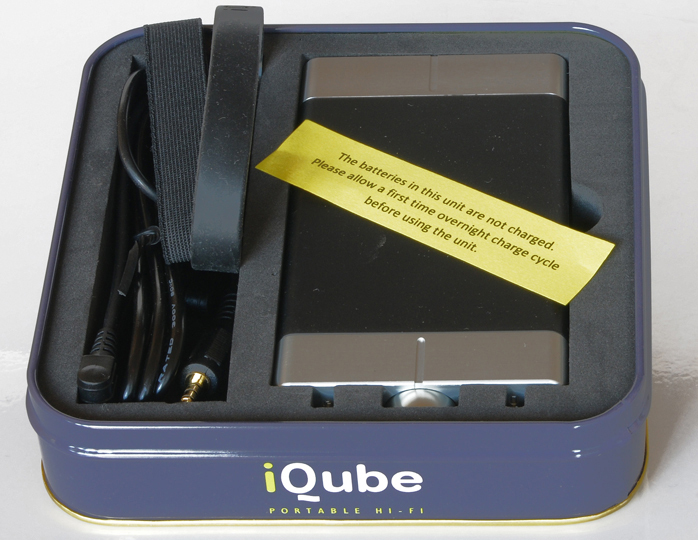 Delivery of the iQube V3 is in the familiar metal candy box which includes a generic mini USB cable and—new for the V3—a special RCA to 4-pole mini converter cable. For attaching the iQube to a portable device there’s also a Velcro strap and rubber band. 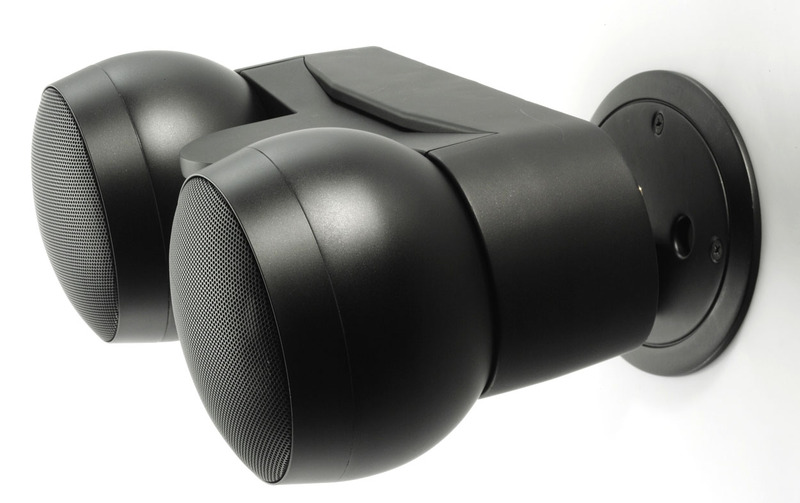 Batteries are pre-installed and of the rechargeable variety but not user replaceable. 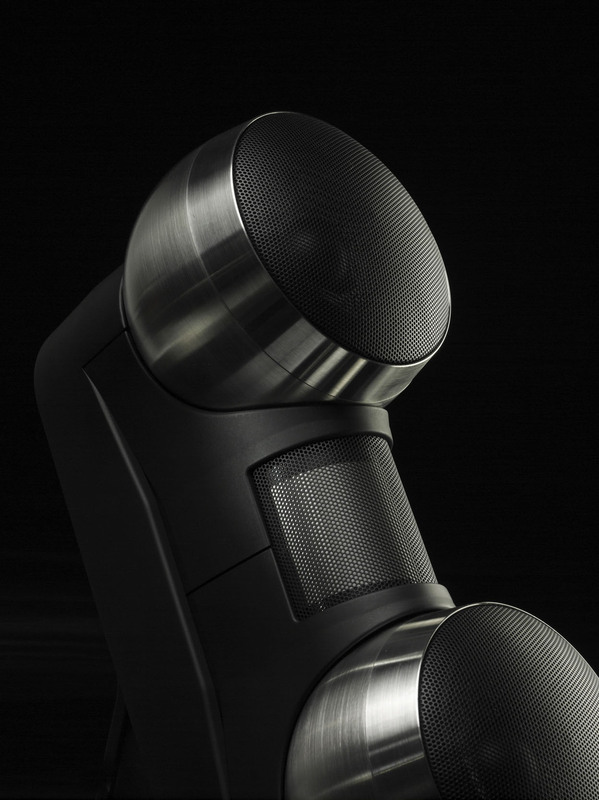 Contrary to the V2’s 850mAh, the V3 is beefed up to 1000mAh capacity from 4 AAA type batteries.